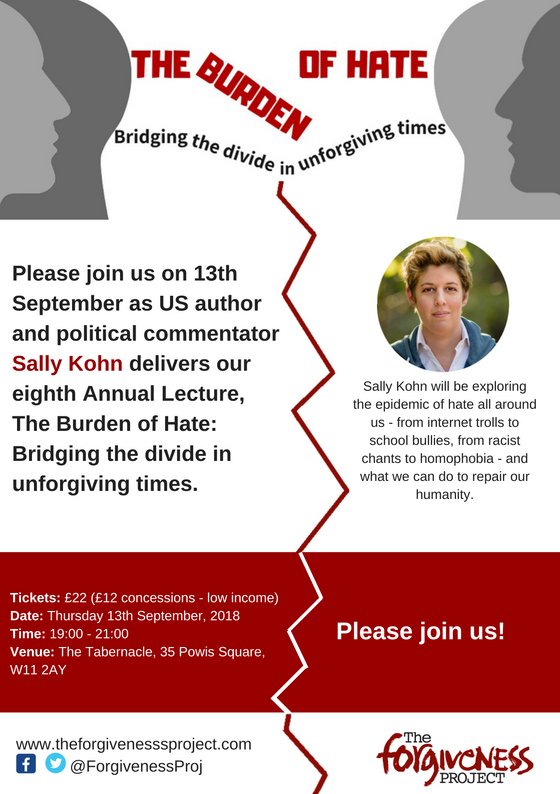 This year sees The Forgiveness Project’s eighth annual lecture to be given by American author, political commentator and community organiser Sally Kohn, delivering ‘The Burden of Hate: Bridging the divide in unforgiving times’. The forgiveness Project is an award-winning charity which works with real stories to explore how forgiveness, empathy and sharing stories are able to be used to break the boundaries of harm, transform relationships and can help to restore hope. Thursday 13th September, sees the return of The Forgiveness Project’s annual lecture, this year given by Sally Kohn. Currently a commentator for CNN and previously for Fox News, Sally has made a career out of bridging intractable political differences and has learnt how to talk respectively with those who she disagrees with passionately, becoming one of the leading progressive voices in America today. 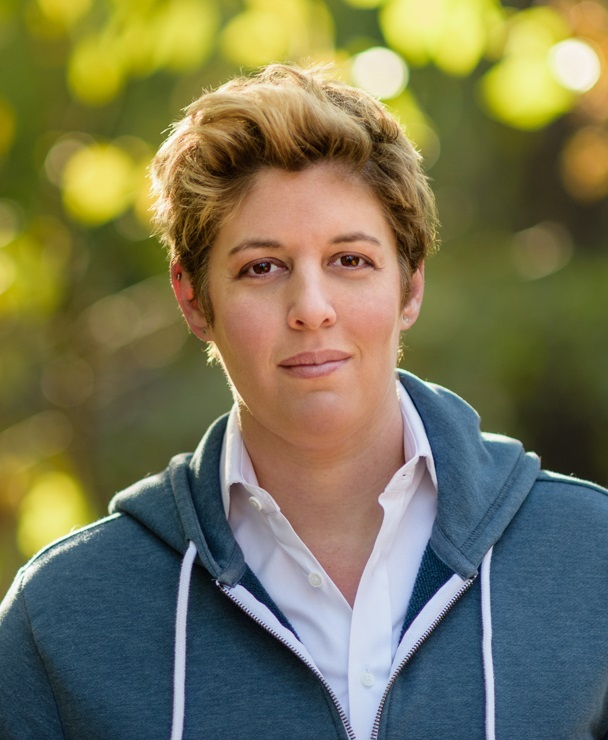 Taking place at The Tabernacle, Notting-Hill, Sally Kohn will explore the epidemic of hate that surrounds us – from school bullying to online internet-trolls, racism to homophobia, and how we can repair our society. With her recent book, The Opposite of Hate: A Field Guide to Repairing our Humanity, investigating the evolutionary and cultural roots of hate and how incivility can be a gateway to much worse – the evening will examine hate and encourage us to rebuild our humanity as a whole. More information and tickets for the event can be found on their website with tickets priced at £22 (£12 concessions – low income). The Forgiveness Project’s Annual Lecture comes to The Tabernacle, Thurs 13 Sept 19:00-21:00.